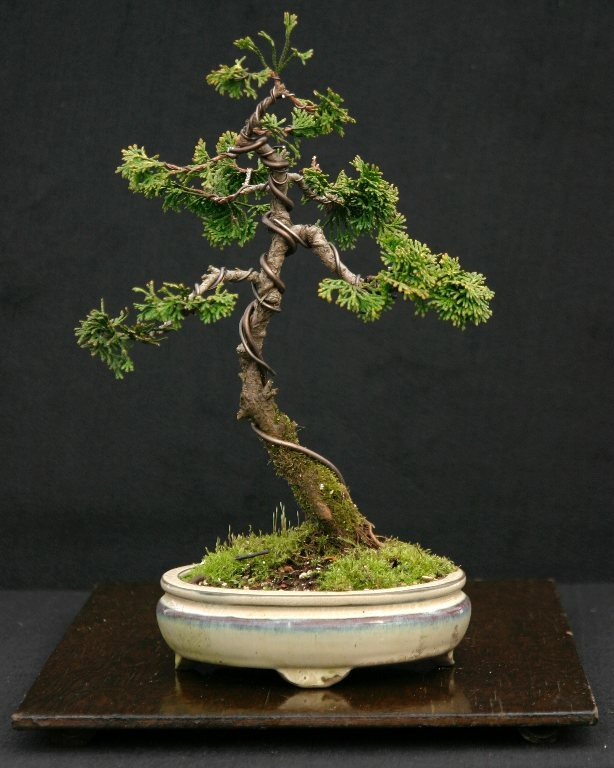 Tiny little trees, or, I can’t do it, but I’m doing it anyway. The other day I took the three kids I nanny to the Arnold Arboretum. The two “big” kids, four and two years old, took their bike and scooter, while I pushed the baby in the stroller with the diaper bag, lunch boxes, water bottles, sun screen, and all the rest of the paraphernalia that comes with three small children. I work ten hour days at this new job. I took it because it gives me Wednesdays off, which I theoretically use for writing and editing. But ten hours is a long day, and three kids is more than I’m used to, and so it has been an adjustment. I miss the leisurely days with my last charge, a sweet little girl whose personality was similar to mine — we used to go and people watch, and wander dreamily around, having little adventures. Fun and learning opportunities were everywhere, and it never really felt like work. I love these new children, too, but when there are three things get more practical. The focus tends to be more on keeping everyone safe, diapered and toileted, fed, getting along, and napping when they’re supposed to or need to. I try to do things that they’ll enjoy, of course, but I can’t enjoy those things as much, and the special times of bonding one-on-one do come, but they are moments here and there rather than the entire day. So we were at the arboretum, finally, after having made and packed four lunches, covered all exposed skin with sun screen, and buckled helmets onto the heads of the biker and scooterer. And I thought longingly of the bonsai trees, through the woods and up the hill, and how much fun it would be to bring the kids there. But the path was gravel and long, and I knew the kids would have a hard time with their vehicles, and I couldn’t carry a bike and scooter in addition to all the other stuff. Just pushing the stroller up the hill would be hard, and it was a hot day, and only ten o’clock in the morning — eight hours to go. Probably I should pace myself. “Yes, let’s go!” they answered. As I looked back to assess the situation, I realized that, even though she was crying, she was still pushing the scooter; slowly, but steadily, a little bit behind her brother. For the last ten minutes of our climb, Callie didn’t stop crying, “I can’t do it!” and she didn’t stop moving slowly forward. Really, I could have carried the scooter for those last few yards, but I was kind of in awe of what was happening, the strength and bravery that our little adventure was bringing out in myself and the children. 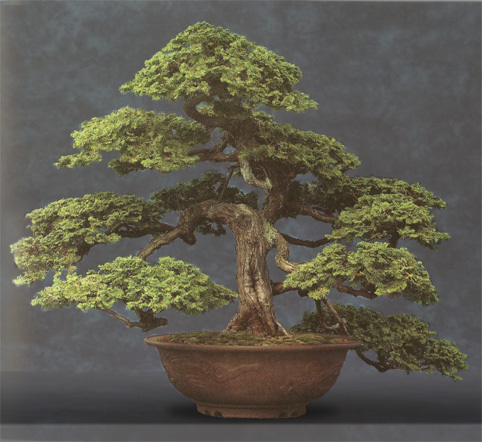 I had come out of my utilitarian focus and was excited about the kids, about the day, and about showing them the bonsai trees; Evan was reveling in his own strength and ability and working so hard, and Callie was succeeding despite herself. Just when Callie’s cries were becoming more insistent I called out, “We’re here! You can leave your bikes and walk the rest of the way.” And they ran to catch up with me. 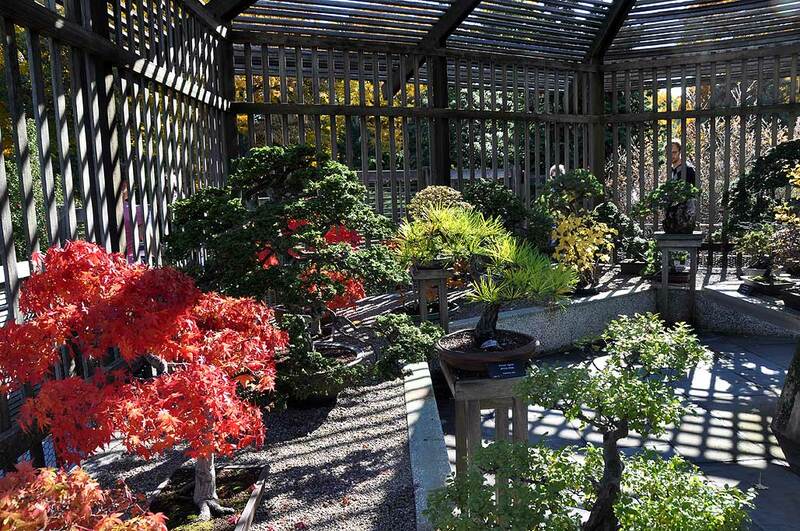 If you ever have the chance to see the bonsai collection at the Arnold Arboretum, you really should. They have an amazing history, and they really are like a little fairy kingdom. This is the view from the inside of their little house, but visitors must stay on the outside to protect these precious little trees. 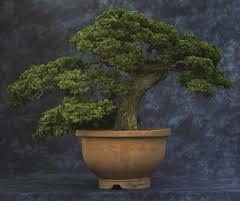 This Hinoki Cypress was started in 1787! This makes me remember my son’s nanny Aunt Joan, who had her charges outside so much my son could run miles at age four. She herself was a competitive runner at age 60. An Irish transplant to Long Island, she drank only camomile tea, and on her days off would train for marathons, listening to Elton John through her headphones and saying the rosary for all her kids. Thanks for helping me remember her. Thank you! We never outgrow our need for encouragement..This is one of your very best essays, and that’s saying a lot. Maybe one of these days you’ll write a whole book on what you learned as a nanny. You can do it! What a wonderful description of what God says to us every day, if we choose to take the path and listen. Thank you for pushing on…and sharing. You can do it Jessica! You can really do it! Wonderful event! Isn’t it amazing how something so ‘ordinary’ becomes som’magical’ and character building! Always good to,step,outside the comfort zones and grow! I can imagine the boost of self confidence these kids (and you) received from this! Thanks for the reminder that we’re all getting there, as little as we may believe it.